The Catechesis of the Good Shepherd is a Montessori-based approach to the religious formation of children, rooted in Sacred Scripture, Liturgy, and respect for the child's rich relationship with God. 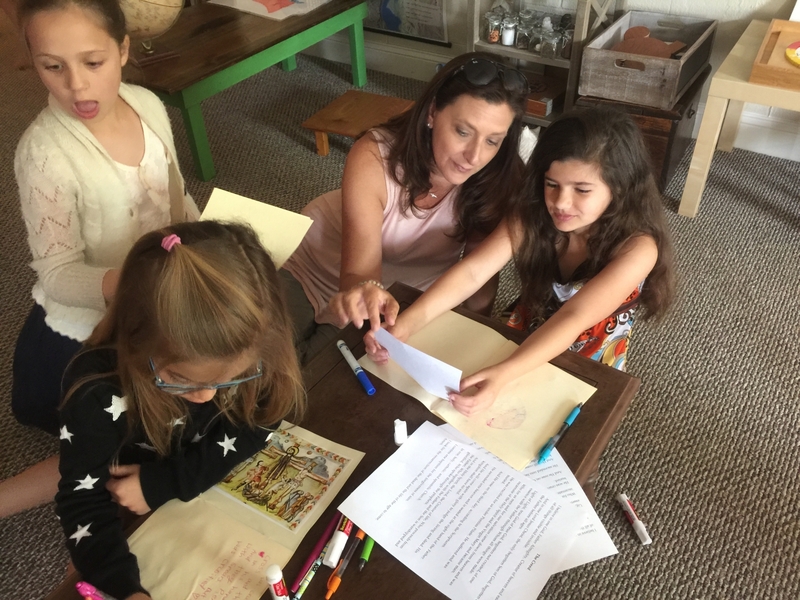 It was developed by Sofia Cavelletti, an Italian Hebrew scripture scholar, and her co-worker and Montessori Collaborator, Gianna Gobbi. The teaching methods of Maria Montessori are found at the root of this program. What ages are invited to participate in CGS? • Toddler Atrium – with parents for youth that are 2 by August 15th. • Good Shepherd Atrium – 3, 4 and 5 years old by August 15th. Why is the classroom now called the “Atrium”? Children need their own place to work and pray. This place is called the Atrium. Each atrium is specially designed with child-sized furniture and materials. This space is a prepared environment just for our children. It is their space and they love it, taking great care of it and showing respect for their place of prayer. The Atrium is a calm and peaceful place where time seems to slow down. Why are Sunday School teachers now called Catechists? Catechesis comes from the greek word, κατηχέω (katécheó), meaning to instruct by mouth. The role of the adult in the atrium is secondary. Christ is the teacher. 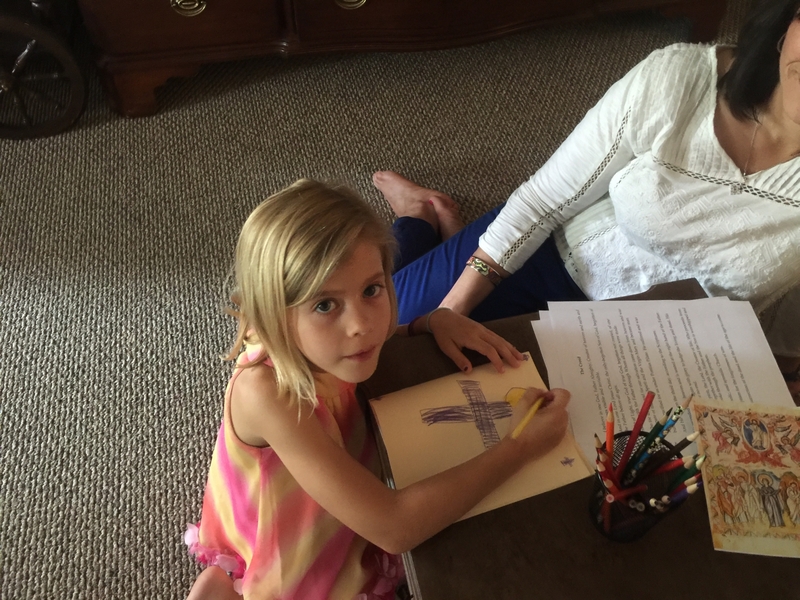 The catechists are there to offer materials to the child, which are appropriate for their stage of spiritual formation. 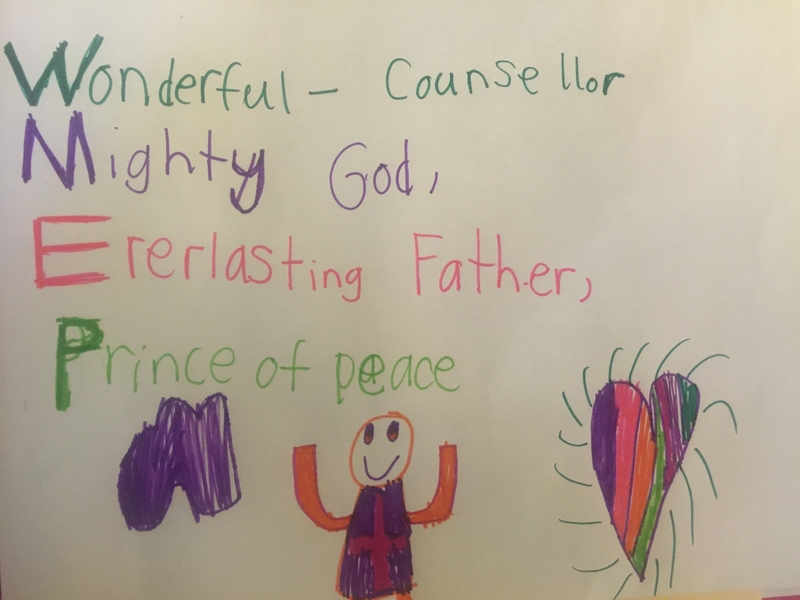 The catechist ponders with the child and encourages wonder and reflection, in the hope that the child will grow in love and knowledge of God and church tradition. All of our catechists are trained by the National Association of the Catechesis of the Good Shepherd. Each level of certification includes 90+ hours of lecture, presentation, prayer, personal album work, and practicum. Together with clergy and scholars from around the country, as well as several seasoned Formation Leaders from the National Association, our catechists have participated in a lengthy and on-going research/adaptation process to ensure all content reflects Orthodox theology. Where did all of the materials come from? Part of the CGS formation is the connection of the catechists to the materials. Almost everything in the Atrium is hand crafted, painted, molded, and drawn by our trained catechists and other faithful parishioners who have given their time and talents to our Atrium. Each atrium around the country is different. Ideally they are unique to the character of the parish, which will be reflected in the materials and the overall environment. Why do the kids take off their shoes? 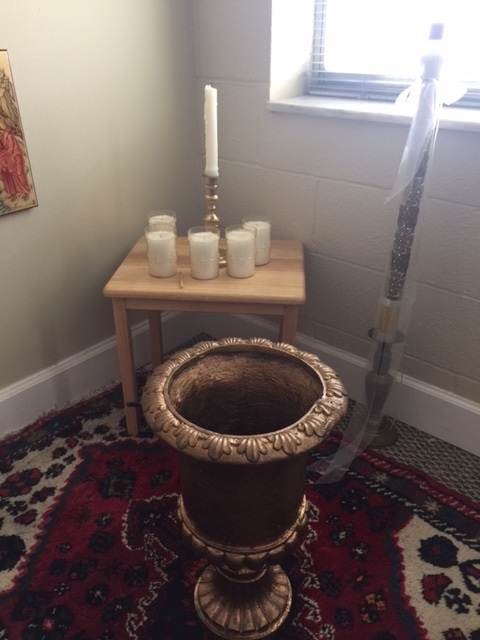 The Atrium is a place of prayer. We foster the children’s love and respect for the room, by keeping it clean. You may have noticed that there are no chairs in the Atrium. The children sit and work on the floor. No shoes, means less dirt and a quieter environment. Overall, it is a respectful gesture for the children and their space. My child talks about “works” in the Atrium. What is a “work”? The works in the Atrium are intentional in nature and will prepare the child for future, more involved works later on. For example: a three year old will learn to spoon beans from one small glass bowl to another. Once this has been mastered and the child is a little older, he or she will be exposed to a lesson on the Parable of the Leaven, where the child will get to spoon flour and yeast to create leavened bread to ponder over. 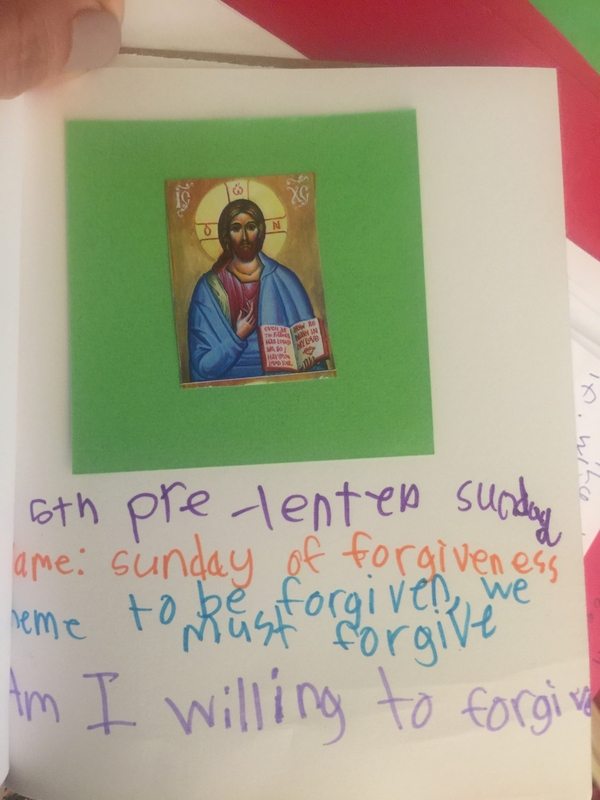 After the child has received a lesson on the work from a trained catechist, the child is free to work with that material on their own, and is even encouraged to teach other children the work. Why doesn’t my child bring home any finished work? The children each have a folder with their name on it where work can be stored. If the atrium bell rings, signaling their time in the room is coming to an end, they can store unfinished work in their folders until next week. We also ask that all finished work be stored there as well. The primary reason being, that a child may create a deep response and run out of the room with it. Then the catechists will not get the feedback of the child’s reflection, and more than likely the art work will end up in the garbage! It is also very revealing to be able to assess a child’s reflections from the beginning of the year to the end. All work that your child produces will be sent home in a folder at the end of the Atrium year. We ask that you sit down with your child and reflect on their work, as much thought and prayer went into each piece. Your involvement can be as simple as signing up to bring fresh flowers on a Sunday, to being an atrium helper. Much like school staying involved and informed is the key to the success of the spiritual development of our children. Spiritual formation should permeate into the daily lives of our families. It can be as simple as routinely kissing an icon, praying before meals, or celebrating a major Feast Day. You can keep yourself informed by joining our Facebook and Instagram pages. Please don’t hesitate to add your comments and suggestions. Do you paint, sew, do wood-working or calligraphy? Please let us know. We have projects that still need to be completed and we need more hands and talent! 1 Peter 4:10-11 Each of you has received a gift to use to serve others. Be good servants of God’s various gifts of grace. Anyone who speaks should speak words from God. Anyone who serves should serve with the strength God gives so that in everything God will be praised through Jesus Christ. Power and glory belong to him forever and ever. Exodus 35:10 “Let every skillful craftsman among you come and make all that the LORD has commanded.